I like to try and walk as much as possible in my community , a lot of the shopping is very close to where live; and within Metro Vancouver, the West Coast Express, SkyTrain as well as my car. We need to have more distinct cycling paths. I have had a couple of friends that have died in cycle accidents, I would support this initiative wherever possible. Having cycling options helps us become a much more sustainable community. Getting separate bike lanes is key. I think it would be important to be able to engage in stake holders and be in a position to lobby senior levels of government to help fund some of these projects. Getting people out of their cars is key to reducing our carbon footprint . This is something all politicians need to look at in a serious manner. 4. If elected, would you aim to increase or decrease cycling funding from current levels? 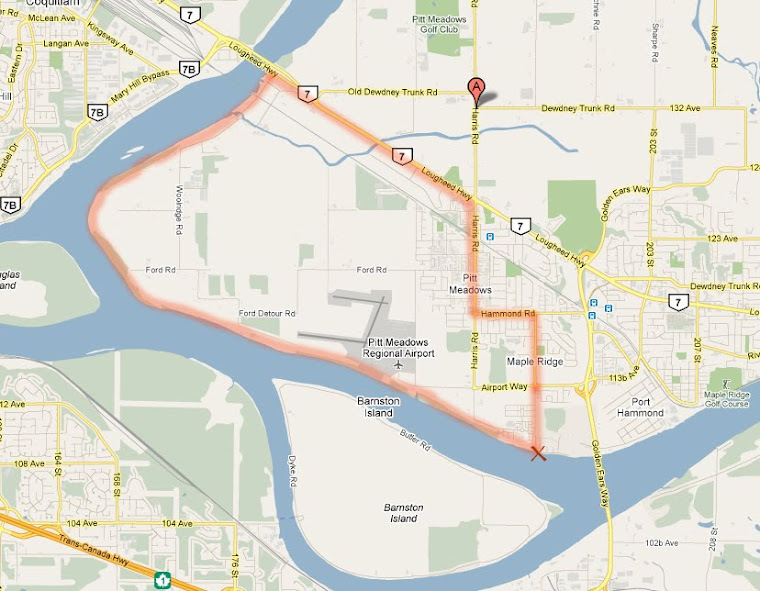 Pitt Meadows has one of the best main transportation route cycling lanes in the lower mainland. Having said that I would always look at trying to make our community more sustainable and a key way is to offer more options to get people out of their cars. 4 a. Do you feel that cycling funding levels should merely reflect the present level of cycling in our communities, or should it reflect the potential of cycling - not only as a means of transportation and for recreation, but also in view of the many desirable benefits cycling has for individuals as well as for our communities/society, such as health benefits, improved livability, reduced greenhouse gasses/pollution, reduced oil-dependency, reduced need for expensive car infrastructure/parking lots, reduced congestion, etc.? I am very supportive of the health benefits, improved livability and reduced greenhouse gasses/pollution and reduced oil-dependency that cycling brings into making our community more sustainable. I would support more funding for cycling initiatives in our community. 5. What is your level of interest in a public bike-share system integrated with the transit system? I think this is a great idea! We need to make it more accessible for everyone, regardless of their age or physical challenges. How do you think a public bike-share system in Vancouver can benefit Maple Ridge/Pitt Meadows residents? First off it will make it a better option for our riders (transit/bike) passengers to get to a location and then continue their travels without having to pay horrific parking rates. This will be a benefit. And of course less traffic in Vancouver would make it easier once travellers from MR/Pitt got into town. Being on council, I would advocate for supporting and promoting cycling education. It is important for the City of Pitt Meadows to show leadership and work towards building more and safer cycling routes. e-bikes are another way to engage people in cycling. I think anything that will help make our community become more sustainable in the future has to be considered. Again , sustainability coupled with health benefits will make supporting e-bikes a worthwhile project in the immediate future. Again the biggest benefit is creating sustainability , this will create an opportunity to be able to link the two communities in a way that needs to happen in the future. I would be happy to take part as an active member.